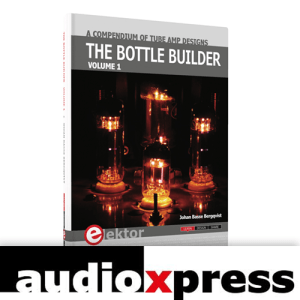 In its July 2015 edition, audioXpress magazine published a review of The Bottle Builder, Elektor’s recent book release aptly subtitled “a compendium of tube amplifier designs”. We would like to point you to the review, written by Peter Delos. In its July 2015 edition, audioXpress magazine published a review of The Bottle Builder, Elektor’s recent book release aptly subtitled “a compendium of tube amplifier designs”. audioXpress readers include DIY enthusiasts, product designers, consultants, integrators, and opinion leaders. audioXpress magazine boasts a long history of critical, educational and erudite publications on audio engineering including tube amplifier design. Here we would like to point you to the review, written by Peter Delos. 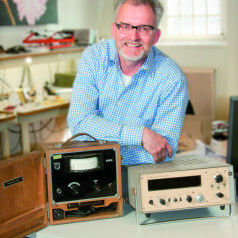 This review of The Bottle Builder, Volume 1: A Compendium of Tube Amplifier Designs discusses Johan Basse Bergqvist’s hands-on collection of his amplifier designs. A book illustrated with more than 400 figures and photographs to help readers understand audio—no engineering degree necessary. This month we explore a great tube amplifier design reference book by a unique individual whose life experiences in audio electronics are written down in a way that will help you get to a better project faster. The recent release by Johan Basse Bergqvist, The Bottle Builder, Volume 1, provides an incredible set of reference designs for anyone at any level who wants to build audio tube amplifiers. The approach is written as a project book, not a theory book. There is a time for theory. Then, there is a time to put the theory to use. The Bottle Builder is about getting down to work and realizing practical results that sound great. The author, Johan Basse Bergqvist, is an engineer, a musician, and an audiophile with a knack for building projects that produce the desired results. The combination of these skills leads to a uniquely valuable perspective on audio design that is routinely reflected in the book and passed on to the readers.